Cable has been losing ground to cord cutting solutions for years now, thanks in part to streaming video on demand (SVOD) services like Netflix and Hulu. With movies and TV shows so readily available to stream, it has been tough for traditional pay TV companies to make the case for live TV. But there is at least one area where live TV still dominates: sports. And that has left many cord cutters or would-be cord cutters asking how to watch sports without cable. In some ways, sports are cable's best argument. They're best watched live, which means they're ‘DVR-proof' – a boon to cable network's advertising revenue – and similarly immune to services with SVOD-type models like Netflix's. But the ‘get cable because of sports' argument is fading fast as more people figure out how to watch sports without cable. For that, we can thank a few different movements, including the fast-expanding skinny bundle arms race, the resurgence of free over-the-air TV, and the direct-to-consumer streaming services put out by sports leagues themselves. 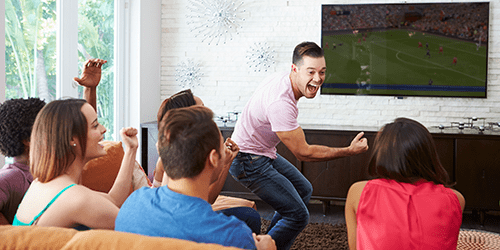 Watching sports without cable is easier than ever before, but there are a lot of options, so let us walk you through it! This is our complete guide on how to watch sports without cable. This list includes a few different types of services. The list starts with skinny bundles, which means I should probably explain what those are. No single innovation has been bigger for cord cutting sports fans than the rise of the skinny bundle. A couple of years ago, when we first asked how to watch ESPN without cable, the answer was pretty short: you can't. Now, viewers have tons of answers to this question and to the question of how to watch sports without cable. We have skinny bundles to thank for that. 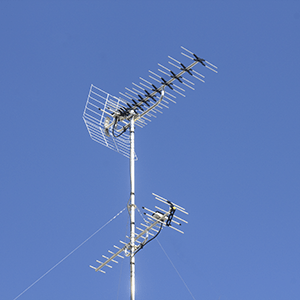 Skinny bundles offer slimmed-down packages of cable networks. They stream over the internet like Netflix (these are over-the-top, or ‘OTT' services), and they cost a lot less than traditional cable packages. After skinny bundles we'll cover over-the-air TV before wrapping up the section. But we won't be done – stay tuned for the next section after that, in which we'll drill down into guides for individual sports and sports leagues. It's in that section that we'll finally discuss one more major way to watch sports without cable: league streaming packages. More on those later. First up: general solutions for watching sports without cable, starting with those aforementioned skinny bundles! Hulu is best known for its on-demand service, which competes with Netflix. But it also has a newer service called Hulu with Live TV, which is a skinny bundle. The single package on offer costs $39.99/month and includes ESPN, ESPN2, ESPNEWS, ESPNU, FS1, FS2, Golf Channel, and NBCSN, among other sports channels. You can read our review of Hulu with Live TV here. Sling TV is arguably the best option for cost-conscious sports fans. Sling TV offers some major networks (Fox, NBC) in some areas, and each of ESPN, ESPN2, FS1, FS2, and NBCSN are in at least one of Sling TV's base packages (“Sling Orange” and “Sling Blue,” $25 per month each). On top of that, Sling TV is now offering NBC regional sports networks in some areas, and has long offered Fox regional sports networks in others. Sling TV is also noteworthy for its la carte business model, which starts you off with a base package and then invites you a built a more customized bundle with add-on packages. The “Sports Extra” add-on is all sports channels, so you won't be paying for anything you don't watch. fuboTV has a sports-centric focus, so it's a no-brainer here. fuboTV started out as a soccer-only streaming service, so soccer is still its strongest suit, but other sports are also well-represented here, and fuboTV's interface surfaces them. Unfortunately, there's one rather glaring omission: ESPN is missing from the service. Still, this is a skinny bundle marketed squarely at sports fans, and it's a great pick for soccer fans. 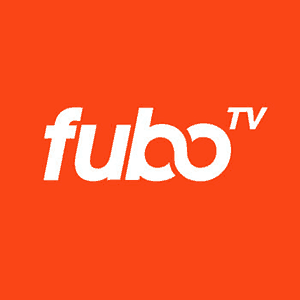 fuboTV's base bundles are “fubo” ($44.99 per month) and “fubo Extra” ($49.99 per month). Check out our full review of fuboTV here. Despite the name, PlayStation Vue is available on many devices other than Sony's PlayStation. It offers ESPN, ESPN2, FS1, FS2, and NBCSN in its smallest package (“Access,” $44.99 per month) and other sports channels – including regional sports networks, MLB Network, NBA TV, ESPN U, SEC Network, Big Ten, and others – at higher price points (“Core,” $49.99 per month, is the key step up for most of this content). 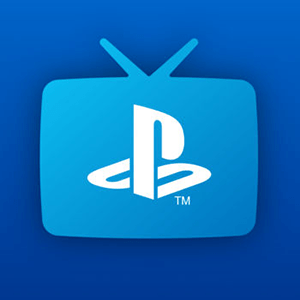 Read our review of PlayStation Vue here. Google has a skinny bundle of its very own. It's called YouTube TV, and it's great way to watch live sports without cable. YouTube TV's streaming sports selection includes ESPN, ESPN2, FS1, FS2, NBCSN, and major networks that broadcast everything from the Super Bowl to tennis majors. YouTube TV costs $40 per month, but you can test it out for free by clicking on the link below and signing up for the service's free trial offer. DirecTV Now is a pretty typical skinny bundle. It offers ESPN, ESPN2, and FS1 in the cheapest of its multiple package options (Live a Little, $40 per month), but FS2 and some other sports favorites are banished to higher price tiers. Those willing to pay more will find plenty of super-specific sports channels, including Longhorn Network, Big Ten Network, and more. 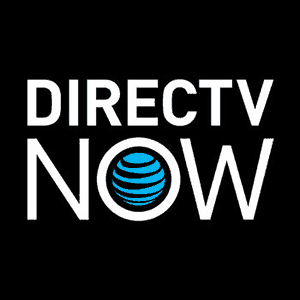 Check out our full review of DirecTV Now here. , which allows viewers in many areas to get the major networks (ABC, CBS, Fox, and NBC) for free. Free over-the-air TV is especially great for NFL fans, since the NFL airs games primarily on CBS, Fox, and NBC, and the Super Bowl is always on one of those three channels. Fans of college basketball, college football, the NBA, the NHL, MLB, and soccer will find at least some games to watch as well, particularly big games and championship matches. ESPN's standalone OTT service costs $4.99 per month. For that, you'll get live sports, talk and analysis shows, and a solid on-demand library that includes everything from 30 for 30 documentaries to replays of recent and classic sports games, matches, and races. The bad news is that ESPN+ does not feature an ESPN live stream – the content here is mostly online-native, and big-time live sporting events are usually not available. 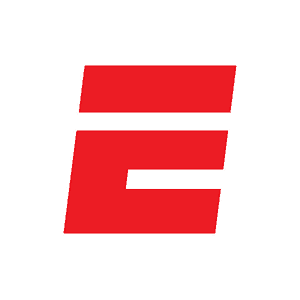 But ESPN+ has lots of great supplementary content, and for fans of the sports and leagues that the service does offer live, ESPN+ is an essential service. Among the leagues that ESPN+ does cover is Major League Soccer: MLS's league streaming service, MLS Live, has been rolled into ESPN+ at no extra charge. ESPN+ offers a very generous 30-day free trial, which you can check out by clicking the link below. Skinny bundles and free over-the-air TV will net you a diverse array of channels that will cover many of your sports needs. But if there's one sport or league in particular that you're dying to watch without cable, then you may appreciate our next section, which features links to our sport- and league-specific guides, plus information about a vital tool for sports-loving cord cutters: the league streaming service. What are the league streaming services? Well, they're another genre of live OTT service. Unlike skinny bundles, they're event-focused rather than channel focused: the streams are live during the games, and that's it. The leagues will generally offer you every game that you can't get through your local cable package. That means home games for your local team are usually blacked out, as are national broadcasts. So read on for more on how to watch sports without cable, including information about specific sports and league streaming services. The NBA's big presence on cable TV makes skinny bundles a must for NBA fans. OTA can be valuable, too, as some games are on ABC. NBA League Pass, the league's streaming service, is also worth checking out. NBA League Pass is a little pricey (NBA TV rights are not cheap, so the league isn't about to give you any direct-to-consumer bargains), but it's a worthwhile investment for basketball fans. We haven't reviewed it here yet, but it seems to be keeping fans happy following a rough patch a few years ago. College sports are easy to watch without cable, too. Though the NCAA doesn't have a subscription streaming service, the channels that college football and basketball games are on can be obtained via skinny bundles like the ones we listed above. Plus, some of the biggest college action can be found on broadcast (over-the-air) networks. Check out our guides for more information. The NFL lacks a league streaming service of the MLB.TV variety, but there are still a lot of ways to watch the NFL without cable. The NFL-loving cord cutter's best friend is an OTA antenna, which will give you access to the big Sunday broadcasts on CBS, FOX, and NBC. The Super Bowl is always on a broadcast channel, too. The hard-hitting action of the NHL is best secured via a skinny bundle, because skinny bundles have the regional sports networks and national channels that will air your local games and the league's marquee match-ups. Super-fans will also want to check out NHL.TV. 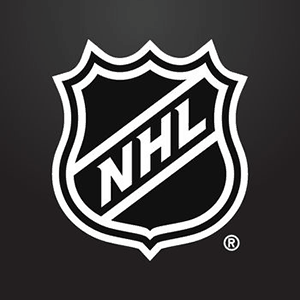 NHL.TV, formerly known as NHL GameCenter LIVE (why did they ever get rid of such a simple and elegant brand name? ), is the NHL's take on the league streaming service. It has a nice (if somewhat incomplete) classic game archive and works pretty much exactly how you'd expect it to. You can read our review of the service here (note that our review was written back in the glory days of the “NHL GameCenter LIVE” branding). Skinny bundles are a valuable option for fans of MLB, because many of them offer access to the regional sports networks that will cover you local games. OTA is key, too, because World Series games and other playoff games are often on broadcast television. For everything else, you'll likely want to check out MLB.TV, which we'll cover below. 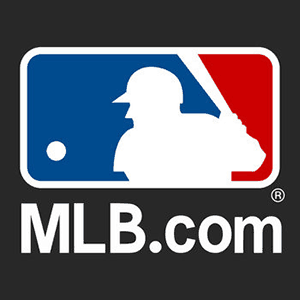 MLB.TV was the first of these services to emerge, and it remains the gold standard for league streaming services. The company behind it – MLB Advanced Media – is now one of the most reputable streaming companies on the planet, and the MLB.TV service is nearly flawless. Check out our review of MLB.TV here. MLS fans may find their favorite team's local broadcast on the regional sports networks offered by some skinny bundles. It's a good idea to grab a free trial or two to see what's available in your region. But for die-hards who want more than just local games, the answer is MLS Live. MLS Live is now a part of ESPN+, so it's no longer a standalone league streaming service like MLB.TV. Still, the MLS Live feature of ESPN+ works pretty much in the same way as other league streaming services: you'll get live regular-season games with some blackouts (MLS Live's local-market blackouts aren't as stringent as those of other league streaming services – in-market streaming is available for select teams). Watching England's top-flight soccer league without cable isn't tough. You'll just need a mix of over-the-air and skinny bundle solutions. Check out our full article on the subject to learn more. If wrestling is your thing, cutting the cord is easy. The WWE has made OTT its future by focusing on WWE Network, a subscription service that will give you access to the big matches you crave. I'm not here to debate whether or not pro wrestling is a sport (it is, though) – I'm just here to tell you that if you love the WWE, you might want to invest in their OTT service. 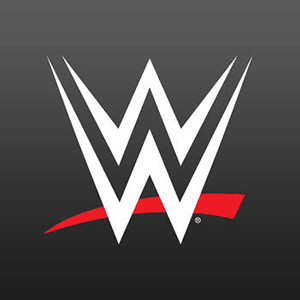 WWE Network has replaced traditional pay-per-view as the WWE's broadcast method of choice. Oh, and there's a free trial, too. Can I Watch Sports on Roku, Fire TV, Apple TV, or Chromecast? So can you use these streaming services we talked about above on your Roku, Apple TV, or Fire TV? For the most part, you can! Let's talk platform support, shall we? The major streaming boxes have apps (or “channels”) for just about all of the products listed above. Hulu with Live TV, Sling TV, fuboTV, PlayStation Vue, YouTube TV, and DirecTV Now all have apps for Roku devices. Fire TV fans, you guys get Hulu with Live TV, Sling TV, fuboTV, PlayStation Vue, and DirecTV Now. Hulu with Live TV, Sling TV, fuboTV, PlayStation Vue, YouTube TV, and DirecTV Now each work on Apple TV. Chromecast users can choose between Hulu with Live TV, Sling TV, fuboTV, PlayStation Vue, YouTube TV, and DirecTV Now. If you use Android TV, your options are Hulu with Live TV, Sling TV, fuboTV, PlayStation Vue, and YouTube TV. 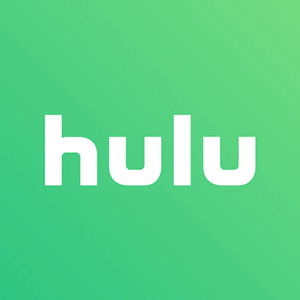 Hulu with Live TV, Sling TV, fuboTV, PlayStation Vue, YouTube TV, and DirecTV Now all have apps of iOS and Android mobile devices, too. Each of Hulu with Live TV, Sling TV, fuboTV, PlayStation Vue, YouTube TV, and DirecTV Now also offer an in-browser app for use on your desktop or laptop computer. Hulu with Live TV, Sling TV, and YouTube TV also work on Xbox One game consoles. PlayStation Vue works on PlayStation 3 and PlayStation 4. What about ESPN+? It's available for iOS, Android, Roku, Fire TV, Apple TV, and Chromecast. ESPN+'s platform support is still expanding, so stay tuned. As for the league streaming services, they offer pretty good platform support, too. NBA League Pass, MLB.TV, and WWE Network all work on Roku, Fire TV, Apple TV, Chromecast, and Android TV devices. NHL.TV and MLS Live work on Roku, Apple TV, and Chromecast right now, but neither has an app for Fire TV or Android TV as of this writing. 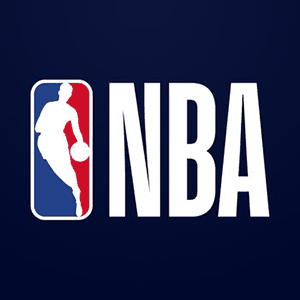 NBA League Pass, NHL.TV, MLB.TV, and WWE Network also all have apps for both iOS and Android mobile devices, plus in-browser apps for computers. NBA League Pass, NHL.TV, MLB.TV, and WWE Network work on the PlayStation 4 and Xbox One, too. So there you have it, folks: a whole lot of ways to watch sports without cable on a ton of different platforms and devices. Stay tuned to Cordcutting.com for more on how to watch sports without cable, including sports-specific tips, how-tos, reviews, and more. Cord cutting is what we do (and sports are, too). Useful article when I first found cord cutting, but you just updated this month and left out Youtube TV? Big omission, considering they carry CNBC (for the occasional PL game) when you have to add it to Sling. We didn’t mention YouTube TV, yet, because of its limited availability. But we will in our next update. Thanks for pointing out! If you cut the cord and sign up for a skinny bundle, how do you estimate the increased data requirement you’ll need from your ISP? This is part of the trade-off, right, as now you will be using your internet lines instead of cable lines?